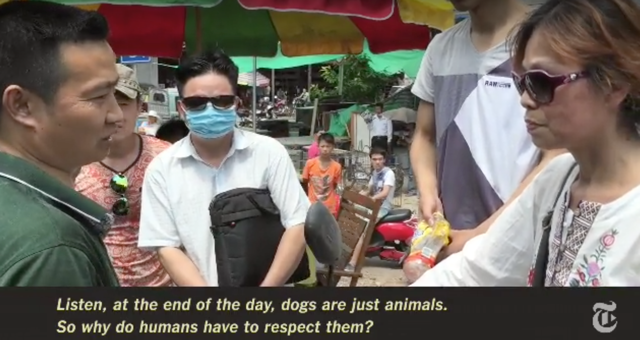 In China an animal activist rallies to save dogs which are caged and boiled for human food. I applaud her (the woman in the video on the right) for her efforts. And although I don't eat meat or chicken now since 1980 I see that what one culture eats may be abhorrent to another. What I find interesting is how humans see the animal world as somehow inferior. This is the problem with Humanity, and it is why we are at war with every other species on earth, plants, animals and fish. Sadly, then we are at war with ourselves.